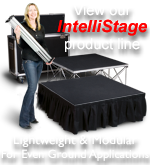 -Staging 101 4' x 8' mobile, folding stage 16" high-Panels are available in carpeted or industrial finish. 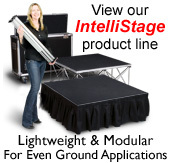 Staging 101 4' x 8' mobile, folding stage 24" high-Panels are available in carpeted or industrial finish. 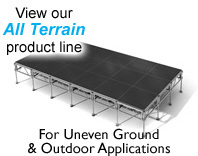 -Panels are available in carpeted or industrial finish.